Your choice of finish will affect how often you need to repair and refresh your boat's deck and topsides. There’s a bewildering range of choices for keeping the hull of your boat looking great, or restoring one that’s looking past its best. However, the most obvious – or expensive – options are not always the best solutions. The best systems married with meticulous preparation can produce a stunning and long-lasting finish for your topsides – at a price. Conventional single-pot marine paints rely on the evaporation of an oil-based solvent to set. Two-pot paints, however, work in a different manner – when mixed together the two elements form a chemical reaction that locks the ingredients into a hard chemical formula. 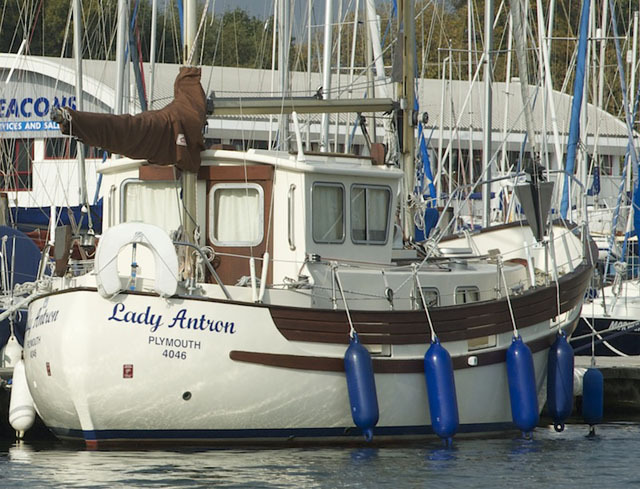 Single-pot paints have the advantage of being quick and easy to apply, but alkyd types are relatively soft, so they are prone to damage from chafe and wear, meaning that fenders will scuff the topsides if a boat is kept in an alongside berth. Single-pot polyurethanes fare better in this respect, but have less of a high gloss and can fade relatively quickly when exposed to sunlight. A boat painted with a one-pot system may look good when it’s first applied, but the paint is quite soft, so it’s not resistant to abrasion and does not give a high gloss finish. Two-pot marine paints tend to have considerably greater scuff resistance than any single-pot paint, while some, such as Awlgrip, are harder than the gel coat to which they are applied. A two-pack system can therefore last twice as long as a single-pack alternative. The downside, however, is that application is more difficult. The two elements rely on a chemical reaction to cure, so must be mixed thoroughly and after mixing they have a limited pot life before setting. In addition, two-pot paints, whether primer, undercoat or topcoat, cannot be applied over single-pot paints, as the solvents in the two-pack paint will partially strip the existing coating. The best resprays are capable of looking great for 10 years or more, especially if a top-quality two-pack paint such as Awlgrip is used. On the down side this is an expensive process – you may well be taken aback by the prices quoted if you’ve not already had experience of having a boat resprayed. 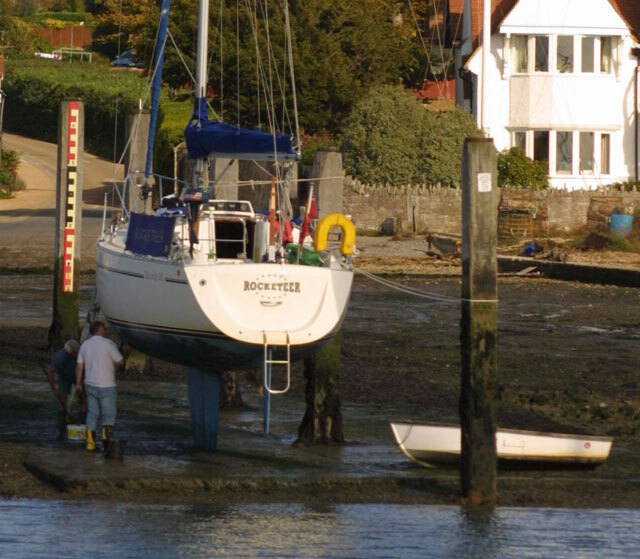 In addition to the large amount of preparation work needed, part of the problem is that in the UK climate there’s often no alternative to putting the boat in a shed for the work, which entails lowering the mast. And all other boats in the building will need to be masked to protect against overspray. A significant saving can be made by completing some or all of the preparation work yourself. No paint system is better than the surface to which it must adhere – it’s vital to ensure the substrate has been faired and sanded to as smooth a finish as possible and that any existing layers of paint are securely attached. Areas of chipped or flaking paint must therefore be dealt with before repainting. Small areas can be removed with a scraper, and the edges of the damage feathered with sandpaper to create a fair finish. 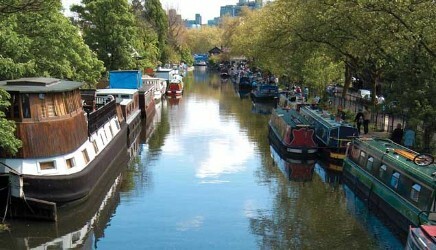 However larger areas may need to be stripped entirely. A high-gloss finish will highlight any imperfections on the hull, so it’s worth fairing it carefully. 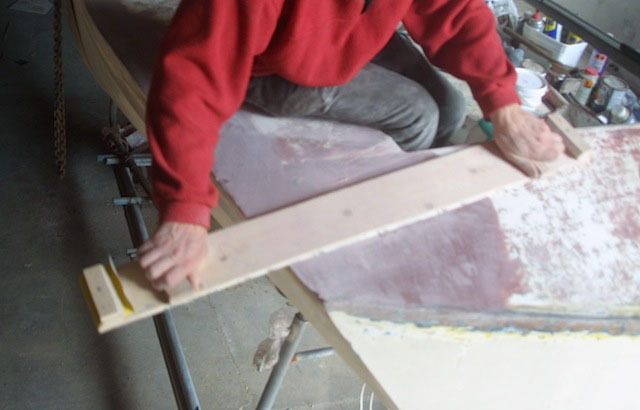 This inevitably means using a longboard, a 1-2.5m (3-8ft) long sanding board approximately four inches wide that will sand only the highest spots on the hull. Once the hull is mostly flat any remaining deep hollows can be filled with an epoxy filler, before further longboarding to achieve a good surface. Using a long board to fair an area of deck prior to painting. For a professional finish, you can then apply a coat or two of high build primer, before more long boarding and finally applying a primer in preparation for the final paint system. Once the area to be painted is in sound condition, abrade the entire surface with sandpaper to provide a mechanical key for the new paint to stick to. As a minimum a half-sheet, or 150mm diameter rotary sander is needed to cover large areas, while a small triangular model will enable difficult corners to be reached. 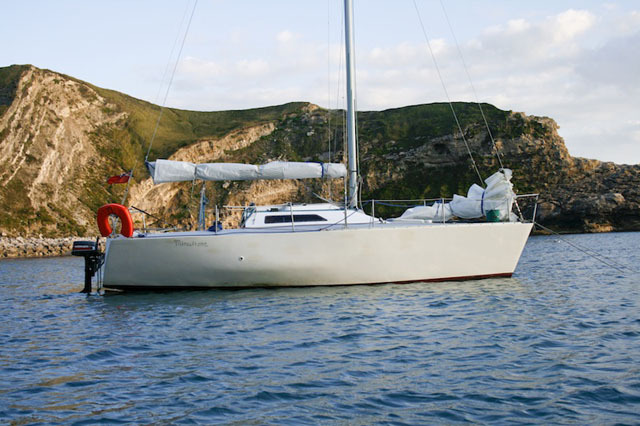 You can make even greater savings by painting the boat yourself, which need not be a time-consuming process if you are well organised. Unless you already have considerable experience of using spray-painting equipment, don’t be tempted by this route – it’s a skill that’s more difficult than an experienced operator makes it appear. However, spray painting is not the only way to achieve a great finish. An excellent result can also be achieved by two people working in a team, with one applying the paint using a four inch roller,and the other using the most gentle of stokes with the tip of a wide paint brush to lay the paint off with vertical strokes. It should be possible to apply a coat to each side of a 30ft boat in around 60-75 minutes using this method. Once the paint has hardened for a few days, a few hours of polishing with a machine can bring the paint to a finish almost as good as a professional respray, without highlighting as many imperfections in the smoothness of the hull as a respray. Polish – an easy alternative? It’s worth considering carefully whether the boat really needs painting at all. 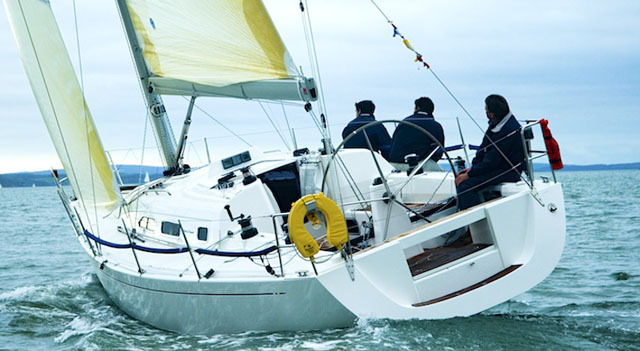 Aggressive advertising campaigns by paint manufacturers resulted in many boats being painted in the 1980s and 90s, when a simple polish would have restored them to an as-new shiny finish that’s more scratch-resistant than all but the most expensive paint systems. This can still be a viable proposition even for boats with topsides that have faded due to sunlight, although some may need to be sanded with very fine abrasive paper before polishing commences. The ideal tool is a random orbit sander such as one of the Metabo or Festool series, which are available from professional tool shops. A key advantage is that these can use much finer grades of paper than DIY-style sanders. Badly faded colours may benefit from sanding with paper as coarse as 400 grit, but in general 640 is a safer starting point. Follow this with 800 grit discs – by this stage white gel coats will already have a shine, although dark colours will gain a much deeper shine if you then sand with a 1200 grit paper, before polishing. Topsides that are polished every year or two won’t need sanding, but using a polishing head on the sander and rubbing compound will rapidly restore the shine. Finishing the job with a wax compound helps to repel dirt and grime, as well as offering protection against uv damage. 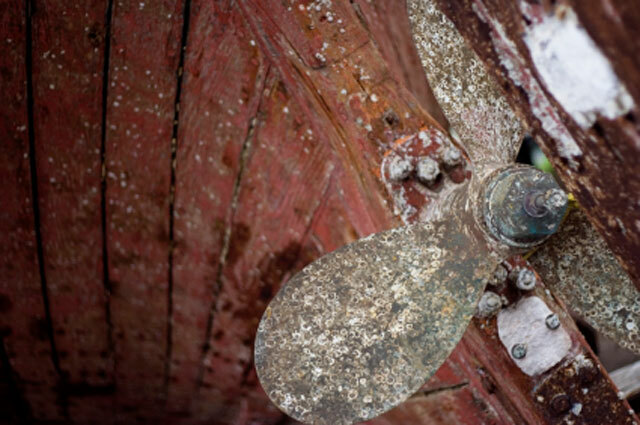 Read more about boat cleaning and how to care for your hull. These have the potential to be a quick, inexpensive and surprisingly long-lasting alternative to a professional respray. 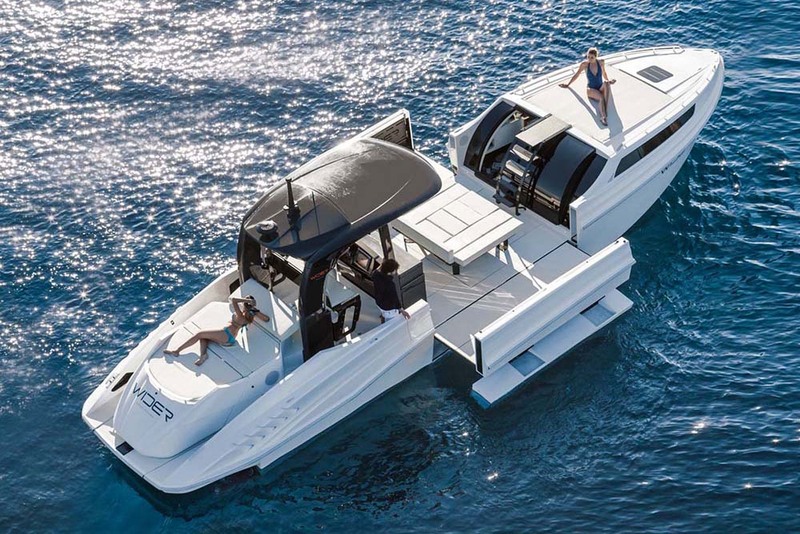 Benefits include significantly reduced preparation time and quick application, which both helps to reduce costs – which may be as little as one third of the price of a respray – and minimises the time during which the boat is out of action. Although they are a relatively recent development, there are now plenty of examples that have lasted some four to five years without problems. In addition, specialists have developed techniques to repair dings and scratches without replacing the entire wrap. 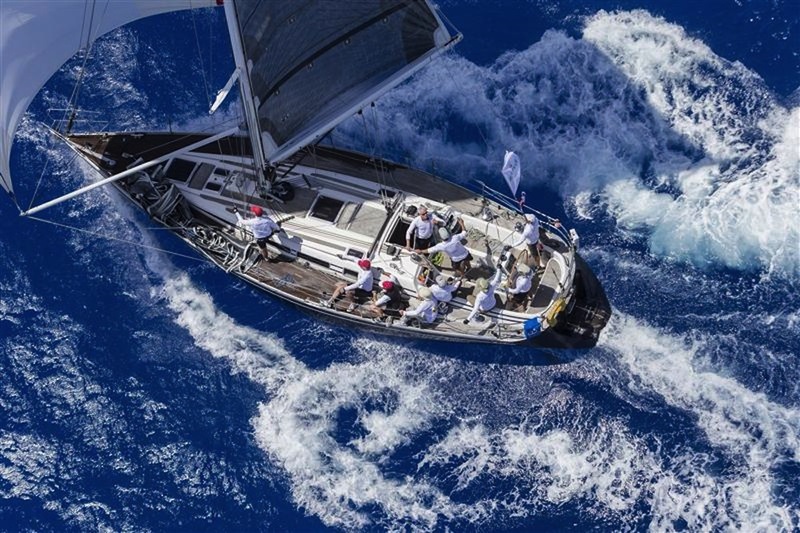 Keep your boat looking good this season with these handy features on boats.com: How to care for teak decks, How to prepare a boat for painting and How to prepare and apply antifouling.